Tour begins at 5:30 PM at the InterContinental Prague. A transfer is included from Václav Havel Airport Prague or the Praha Hlavni Nadrazi train station to the InterContinental Prague in the heart of the city. Tauck brings you inside Prague’s soaring cathedrals and city architectural riches with sightseeing hosted by local guides. 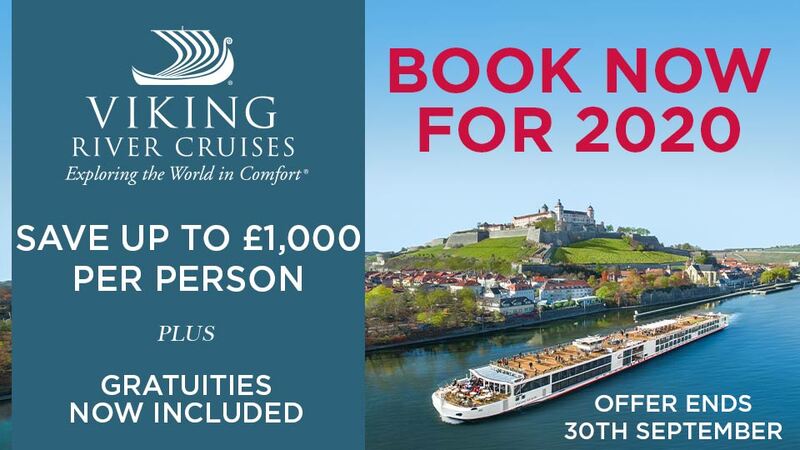 Begin your amazing Blue Danube river cruise adventure with a Tauck Exclusive – a royal welcoming reception, tour and dinner at 16th-century Lobkowicz Palace at Prague Castle. Immerse in an evening of classical cultural treasures – music and art played an important role in the aristocratic world of the Lobkowicz family. Start today's exploration of Prague in the ancient Hradcany (Castle) district, where you'll see 1,000-year-old Prague Castle's complex of palaces, courtyards and gardens. Exquisite European architecture awaits on a guided excursion in Hradcany that includes the magnificent Gothic Cathedral of St. Vitus – an exclusive private tour of the grand libraries of Strahov Monastery is a highlight. Spend the afternoon as you please, or join us on a walking tour through ethereal Old Town, choosing between a "walk through the centuries" or the city’s poignant Jewish sites in Josefov, the historic Jewish Quarter (ask at booking about dates that cannot visit inside the Jewish Heritage sites as they are closed Saturdays). Sample the culinary pleasures of Prague with dinner on your own tonight; the city's many fine restaurants and cafés feature a wide range of cuisines... and some of the best schnitzels, goulashes, strudels, dumplings and beer the region has to offer. Tomorrow – your Danube river cruise begins. You may choose to remain in Prague for a morning of guided sightseeing or exploring, or drive to the quintessential Bavarian town of Regensburg, whose roots stretch back to Roman days. Spend a little free time upon arrival, perhaps visiting the Gothic Dom St. Peter and opting for some of the town's famous Bavarian sausage for lunch on your own. The best way to explore this treasure-trove of history is on foot, as our local guide leads you on a walking tour that includes the Steinerne Brücke, a medieval stone bridge over the Danube; the 15th-century town hall; and the remains of the town’s Roman wall. Depart Regensburg and continue on to Vilshofen, where you'll board your riverboat to launch your 7-night Blue Danube River cruise. Join your shipmates and crew at a welcome reception and dinner aboard the riverboat tonight. Take in the views from your riverboat's sun deck, lounge, or the windows of your outside cabin as your ship glides along the mighty Danube this morning. Your first port of call on your cruise is Engelhartszell, a pretty town on the Danube in Upper Austria. Enjoy a guided walking tour plus visits to several private homes and a taste of local cake, sweets and coffee. If you wish, join us for an optional bicycle ride along the Danube before continuing your cruise this afternoon, bound for Linz; after arrival, the musical trio Donau3Klang entertains onboard this evening. Your boat stays docked in Linz today, with a choice of how you spend your day – full-day excursions to Salzburg (Austria) or Cesky Krumlov in the Czech Republic. Salzburg is the hometown of Austria’s beloved composer, Wolfgang Amadeus Mozart. The setting for The Sound of Music, Salzburg is a parade of beautiful Baroque architecture, painted wrought-iron signage, ornate church towers and grand palaces. You’ll visit Mozart’s birthplace and the very cleverly designed Mirabell Gardens, with some free time in Salzburg before rejoining the riverboat for dinner. Alternatively, travel through beautiful landscapes of rolling hills to Cesky Krumlov. This town has earned its place on the UNESCO World Heritage Site roster – and that’s the entire town – due to its incredibly well-preserved medieval heritage. A walking tour includes Krumlov Castle; the many steps are worth it to get a look at the mix of medieval, Renaissance and Rococo designs. Free time precedes your return to the riverboat for dinner; your riverboat stays docked in Linz this evening. Continue your Blue Danube River cruise through the Wachau Valley, declared a UNESCO World Heritage Site for its well-preserved medieval landscapes. Dock in Dürnstein for a closer look at its 16th-century Baroque houses and 13th-century Romanesque church on a walking tour along cobblestone streets. If you wish, visit the Augustinian Monastery. Enjoy some free time in this charming riverside town – perhaps taking an invigorating climb up the steps to the ruins of Kuenringerburg, a hilltop castle above the town where Richard the Lionhearted was held for ransom during the Crusades, from which the views of the river and valley are glorious – and sample the fruits of the Wachau Valley vineyards during a wine tasting at an authentic Austrian tavern. 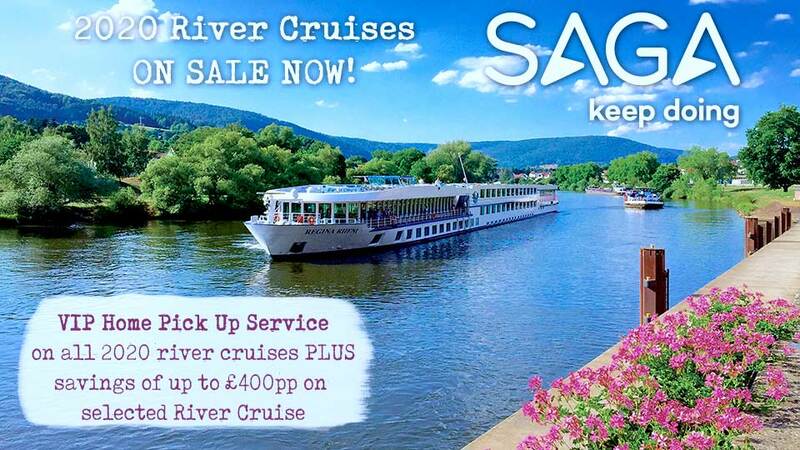 The riverboat departs early evening for Vienna; enjoy a crew show onboard tonight. Your riverboat arrives overnight in Vienna, Austria, where you'll get an overview of this former capital of the old Habsburg Empire – and one of Europe's grandest cities – on a morning walking tour focusing on either medieval Vienna or the Jewish district of old Vienna. The rest of the day is yours to explore this famous city as you please. Later, nothing compares to the royal treatment and pageantry you’ll experience tonight at our private Imperial Evening in the Palais Pallavicini, an opulent, private Viennese palace that played a role in the 1940s film noir classic The Third Man. Welcome cocktails and dinner precede an unforgettable spectacle of beautiful ball gowns and a musical performance celebrating the legacy of Mozart. A choice of sightseeing this morning features a tour of the Habsburgs’ Schönbrunn Palace, an architectural masterpiece and Austrian cultural treasure, or the amazing Imperial Apartments at the Hofburg, Austria’s official presidential residence. Then, shuttles are at the ready to bring you back to the riverboat before our afternoon cruise to neighboring Slovakia. Dinner tonight introduces you to a glimpse of daily life in Slovakia with a taste of regional cuisine and an onboard performance by a talented troupe of Slovak dancers. Begin the day with a Tauck Exclusive – our local guide takes you inside contemporary Slovakia and Bratislava for a look at politics, the economy, religion, the social order, preservation and emergence of the arts, and much more prior to a walking tour of this cobblestoned, vehicle-free city. See 17 centuries of history eloquently chronicled in sites including its 13th-century Old Town Hall, Baroque Habsburg-era palaces, the Opera House, Slovak Philharmonic Hall and St. Martin’s Cathedral. Back aboard ship, get ready to celebrate tomorrow’s arrival in Budapest and the end of your Danube riverboat cruise with a farewell reception and dinner onboard. Your Blue Danube River cruise ends this morning in Budapest, Hungary, which is split into the sections of Buda and Pest by the Danube River. 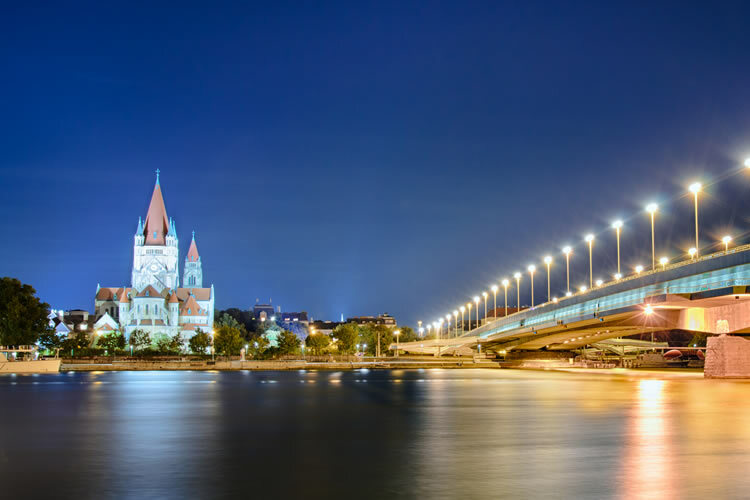 After disembarking your riverboat and bidding the crew farewell, explore the city's Buda side on a walking tour of Castle Hill, a UNESCO World Heritage Site; see Fishermen’s Bastion with its Neo-Romanesque design, and admire the stained glass windows and centuries of history in Matthias Church (may be closed on some days due to services). After lunch at a local café, spend the rest of the day pursuing what interests you most in Budapest. The Pest side of the city reveals itself to you today with views of Heroes’ Square – bounded by some of the finest architectural works in Hungary – and sightseeing including the spectacular Parliament building and tree-lined Andrassy Avenue. There may be some surprises in store on a special visit to the opulent State Opera House, opened in 1884, with its gilded vaulted ceiling, murals, royal boxes and three-ton chandelier. Spend the afternoon exploring what interests you most in Budapest; you may want to stroll along fashionable Váci Utca, one of the city's grandest boulevards. Budapest has acquired quite an excellent reputation for its cuisine; tonight’s special farewell dinner is at the grand Akademia Club in the Hungarian Academy of Sciences – a fitting finale to your memorable Blue Danube River cruise adventure. Tauck's delightful Blue Danube River cruise ends in Budapest, Hungary. Fly home anytime. A transfer is included from the Four Seasons Hotel Gresham Palace Budapest to Budapest Ferenc Liszt Airport or the Keleti train station; allow a minimum of three hours for check-in at the airport. All private Tauck shore excursions – £870 Value! Two nights each in Prague and Budapest in the heart of these historic cities; whichever direction you travel, you’ll end your cruise at a Four Seasons!